A WooCommerce simple product is a product that does not have any variations such as color or size. 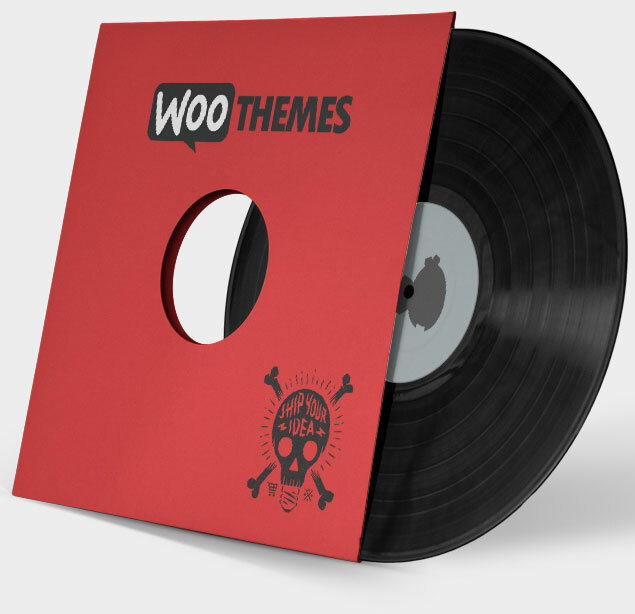 For instance, a vinyl record could be listed as a WooCommerce simple product. Because this item does not have any options or variations that the shopper can choose from. There’s only one version of the product. To make a WooCommerce simple product, the first things you’ll want to add is the text tthat describes your product and the images that show shoppers what the product looks like. This part of the process is similar to making a WordPress post. When you build a WooCommerce simple product, you’ll notice the post editor is split in two. Type your full product description in the top text editor box. Type a shorter description in the bottom text box that’s labeled “Product short description”. Place your product in a category and add a product image and product gallery images. The product image replaces the WordPress featured image on product pages. Once your text and images are in place you need to choose a product type and add product data. The main differences between a WordPress post and a WooCommerce simple product, are found in the product data section of the WooCommerce new product editor. The Product Data section of WooCommerce is context sensitive. It changes depending on the type of product you’re making. Make sure you select Simple Product from the Product Data drop down. When you make a WooCommerce Simple Product you have these options. You also have the extra options of making a product virtual and-or downloadable. The product data section is context sensitive. So for instance, if you tick the Virtual product tick box the shipping option disappears. Because you cant ship a virtual product. You’ll also notice that the variations tab is not available for simple products. Simple products can not have variations. Let’s go through the tabs in the Product Data section one by one. This tab contains options for price, sale price, tax status and tax class. Although WooCommerce will let you sell products without managing inventory, it’s much easier if you let WooCommerce keep track of your stock. This is the type of work that computers do best. SKU: Type a unique SKU (stock keeping unit) in the appropriate box and tick the, Enable stock management option. Then type the amount of stock you have, in the stock quantity box. Using the back orders option you can choose to continue taking orders for a product, even if it becomes out of stock. Type the package weight and dimensions in this section. If, in the WooCommerce settings, you’ve already set up shipping classes such as UK, Europe and the US for instance, you can select them here. There are three options in this section. Up-sells, Cross-sells and Grouping. Up-sells are offered as alternatives to the product the shopper is currently viewing. As the name implies, up-sells are usually more expensive. Cross-sells are useful additions to the product the shopper is buying. For instance if the shopper was buying an alarm clock, a cross-sell product could be batteries. Grouping is used to list a single product, on a grouped product page. I’ll explain more about grouped products in the grouped product tutorial. Washing instructions: Cool wash only, this garment is not colour fast. A simple product can not have selectable variations in a drop down list, such as size: small, medium and large. If you want to use variations such as size and colour, you need to use the variable product type, not the simple product type. Purchase note, menu order and reviews. In the advanced tab you can add a purchase note that the customer will receive immediately after purchasing the product. You can also set a menu order which controls how high or low this product would appear if it was listed with other products in a sidebar menu. You can enable or disable reviews. So buyers can rate and review your products. Learn the WooCommerce simple product options well, you’ll need them a lot! You’ll use these options for all of the products you add to your shop, so it’s in your interest to learn how they all work. Grouped products have fewer options and variable products have more options but the basic principles remain the same.